This Star Light is perfect for the child's bedroom. Makes nice stars on the wall and gives the child piece of mind as it is bright in the room. Disney Colour Changing Character Night Lights. New TV Imitator Plastic Led Lamp -. Bought new fromAmazon but does not work with AAA batteries. This Lego Darth Vader LED Torch will excite Lego and Star Wars fans young and old. This item can be used as a torch, a night light or a bedside light and makes an idea gift for fans of all ages! A giant Lego Darth Vader that works as a torch or bedside light! Handmade Pokémon 100% cotton fabric night light, great for kids bedrooms. Powered by LED tealight, battery powered flickering flameless candle with on/off button. There are 2 plastic discs inside the night light, one has placement for candle, please see photos. Comes ready to use, complete with battery and candle. Measures: Width- 4” (10cm) Height- 5” (13cm) Matching lampshades available to order, custom orders welcome, lovely gift for any occasion. This elegant and modern style Mushroom Shape Bedside LED Table Lamp features with touch sensor ON/Off button on the top so you can turn on or off this night light easily by one finger touch even in the darkness. 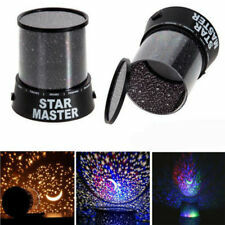 Create amazing starlight effects on a bedroom wall or ceiling with this torch. Requires 2 x 'AA' batteries (Not Included). Star GIZMO Projector. Enjoy the Great Mood in Your House/Room. Star Master. LED Interchanging Colors. Bright Stars. 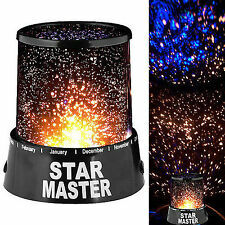 Projects A Realistic Star Show of 10,000 Stars Into your Room. Requires 3 x AA Batteries (Battery not included). Create a magical ambiance - project your favourite Star Wars scenes. Turn on one of the film wheels to project one of the 24 adventurous scenes from Star Wars onto the ceiling and let the adventure begin. This 3D Colour Changing Light magically brings Kylo Ren to life! The light will also look equally good in a man cave or on a desk or shelf. Cool to touch, with an easy on / off switch, this is a definite must have for Star Wars fans of all ages! Disney Star Wars 'Kylo Ren' Illumi-mates Led Light. Emits a warm glow, but still stays cool to touch. Kids Character OFFICIAL Gifts. We aim to keep this process as “stress free” and as simple as possible. If you find this process a little too impersonal, you could always give our team a call and one of our sumos will be happy to help. Darth Vader. Star Wars Official Led Lit Mood Light. Dream, Rotating projection Night Lamp, Moon & Stars, Cosmos or Clear Lamp. Dreams, Projecting, rotating, Portable, Colour Changing, Night Light with Changeable Covers for Either A Normal/Colour Changing Night Light, Cosmos Projection or Moon And Stars Projection. USB Powered (cable Included) Or Battery Operated. This 3D Colour Changing Light magically brings the iconic Darth Vader to life! The light will also look equally good in a man cave or on a desk or shelf. Cool to touch, with an easy on / off switch, this is a definite must have for Star Wars fans of all ages! Luckies Retro Camera Light. There’s nothing wrong with being afraid of the dark. Especially when your bedside light is as cool as this. Camera Light is a rechargeable light styled as a retro camera, making for an unusual gift for any gadget or photography lover. Use the shutter button to turn on and off. Features: Luckies Camera Light. Light in the shape of a camera. Rechargeable design. Charge time is approx. 4 hours. Once charged lasts up to 12 hours. Comes with USB charging cable. Charge for four hours at a time. On/off button located on the shutter. The light measures approx. 7.8 x 12 x 5.5cm. Packaged in a gift box. Handmade Cat-i-tude cotton fabric night light,the cats have sprinkes of metallic specks, great decorative item for any room.Powered by LED tealight, battery powered flickering flameless candle with on/off button. There are 2 plastic discs inside the night light, one has placement for candle, please see photos. Comes ready to use, complete with battery and candle. Measures: Width- 4” (10cm) Height- 5” (13cm) Custom orders welcome,I also have matching lampshade and cushion in matching fabric, lampshades can be made in various sizes, lovely gift for any occasion. Brighten up their room at night with the help of this 3 In 1 Star Wars Bed Light. Clip to the bed, sit it on the table or hang on the wall. Design: Star Wars. Colour: Black. Flexible head. Material: ABS, Steel, LED. BOX ALSO INCLUDES 1 CRACK STICKER 2 WALL PLUGS 2 SCREWS AND INSTRUCTIONS, REQUIRES 3 X AA BATTERIES NOT INCLUDED. This Star Wars 2 in 1 night light and image projector will amaze your child with magical story telling. Turn one of the film wheels to project 1 of the 24 adventurous scenes from Star Wars onto the ceiling or switch on, and let the adventure begin. The light will take your child's bedtime routine to another level, providing a comforting night light and mesmerising projector. Creates an adventurous ambiance. The night light makes your child feel safe at night, while the projector brings your child's favourite Star wars characters to life on the wall or ceiling. Has two-way switch integrated on the lamp so you can easily switch between the night light and the magical image projector. Has high quality LED light with warm white light for a cosy atmosphere. 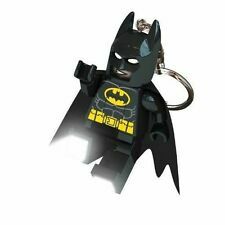 1 OF EACH BATMAN JOKER WONDER WOMAN & SUPERMAN ,LEGO LED KEYRING LIGHTS, YOU RECIVE ALL 4, 1 OF EACH AS PICTURE. 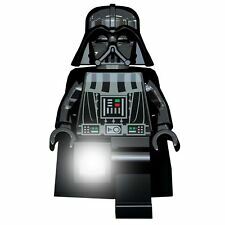 Official LEGO Star Wars Lord Darth Vader LED Night Light Torch Lamp - Boxed New. 3D Stars Wars Kylo Ren looks amazing breaking through your wall. Apply cracker sticker then apply Kylo Ren. Star Wars Darth Vader Soft Plush Toy Pal Night Light Soft Toy by Go Glow 12"